So this is me, working, in my office. That's my art studio in the corner - my standing desk, a glass of water, and a wall of illustrated postcards I've collected from friends and people at conferences. During the day I might take quick snapshots of myself in various poses, holding props or makeshift costumes, using my dresser as a camera tripod. 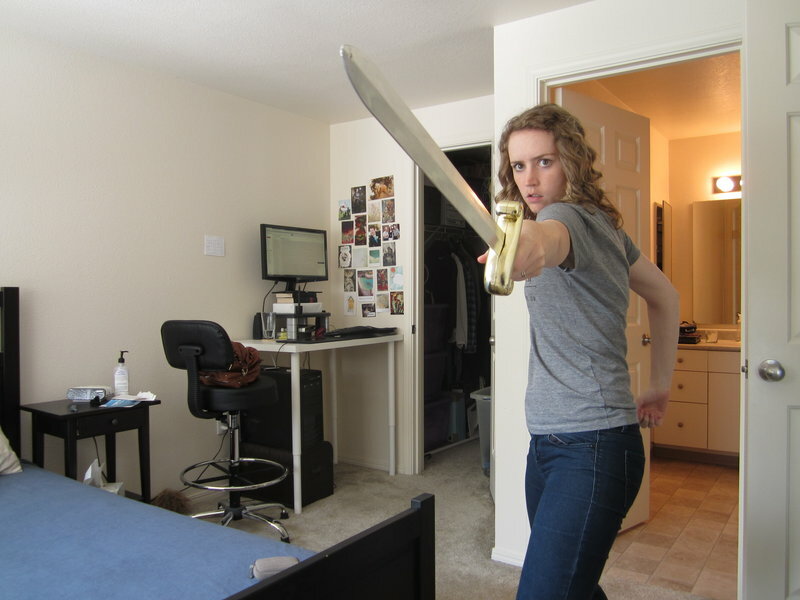 I took this particular photo because I needed a reference for a foreshortened arm holding a sword. Yep, this is me working, in my office. My life is kind of amazing.